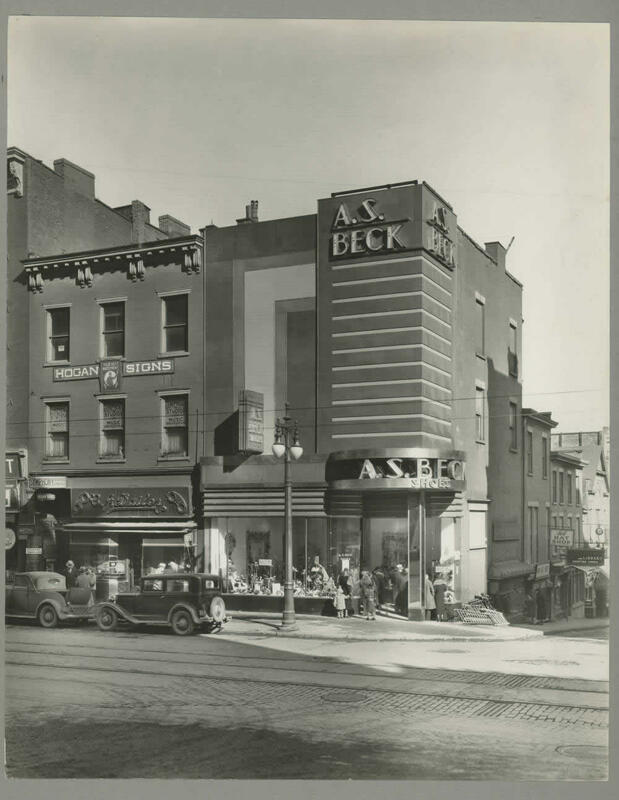 A.S. Beck was a shoe store chain that started in Brooklyn in the 1910s. By 1950 the spot was a new, expanded location for the W.T. Grant department store. That Grant store apparently was quite the success for a while. By the way: The photo above also provides a glimpse of Steuben Street as an actual street.